For fans of mobile games, there is always plenty of new content coming each month, especially for Android. Games are getting better and better, as are smartphones, which get perfect processors to spend hours playing. Google Play is packed with games for all types and tastes, and sometimes it’s hard to keep up! So here are 10 tips of new games that were available for download in the month of June and that you can not miss. Some are not for free, but they are not expensive either, for those who like quality games, it’s well worth it. This list was originally published by the Android Authority . We are in the age of battle between players, and new games for android with this mode are coming in weight. This is the case of AXE.IO, an online multiplayer game that allows up to 16 players. The scenery is beautiful and full of knights, who must fight each other with axes until there remains only one in the battle arena. The gameplay is fast paced and the fighting is brutal, making it addictive. In this new edition of Bloons, the 3D tower defense game comes with a few similarities to the old franchise titles, but now with multiple upgrades like 19 new towers, upgradeable heroes, activateable abilities, offline support, new content and more. The goal is to blow up the last Bloon that comes your way. For those who enjoy construction and horror games will like this Goosebumps game. In it, you build a city and then fill it with monsters of the series. You will have two options: play with the monsters to terrorize the city and collect materials to get new Goosebumps monsters, or play with humans, to defend yourself and spy on them to find out what is happening in the city. You can complete missions for both, unlocking new content as you play and gaining experience. RPG fans will be amazed by this mobile version, a strategy game that is very similar to Summoner Wars, but inspired by the medieval kingdom of Might & Magic. The goal of the game is to build a team and fight monsters, and use elements and equipment to gain advantages. You can also personalize your own hero and choose one of the magic houses. This little game is a cutest version of the popular minefield known for its PC version. Here, you help Aristotle, a little broom genius, escaping from the aliens’ field experiments, while playing the minefield, where he discovers where the bombs are and the perils of the field. However, in this mobile version, you can play more board games besides minefield, such as sudoku. In Silly Walks, you are a pink-coated donut that must run through various obstacles, basically. As you advance, the obstacles become more challenging, and you manipulate the character with a swipping mechanic. The game also features more varieties of playable characters, boss levels and a racing mode. He is exceptionally a game to pass the time. 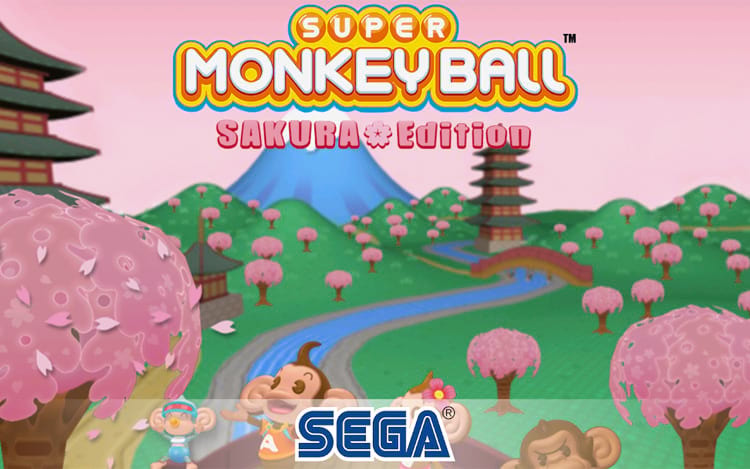 Another version of console game that came to the mobile, Super Monkey Ball arrived at SEGA Forever for free for those who always liked the franchise. There are 125 levels available in six different worlds, and it is still possible to play local multiplayer with up to four players. The player wins four mini-games with simple mechanics. The graphics have been improved, but the game is almost the same as the original. One tip here is to pay the amount to remove the ads as it is a low value and it pays to get rid of advertising, which is quite invasive. We already talked about the launch of this game here . But to sum up, it’s a building simulation game based on the HBO series of the same name. In it, you control your own park, manage the hosts and the visitors. There are several characters that will come up to collect, around 170, and you must match the hosts with the appropriate guests. This first version of the game is related to the first season of the TV series. Did you like the game tips? Have you tried any of these? Tell us in the comments! Next Post: The History of Electronic Arts Inc.